This graph shows the results of one of the experiments folks at USU did to see how good animals were at mixing their diets. 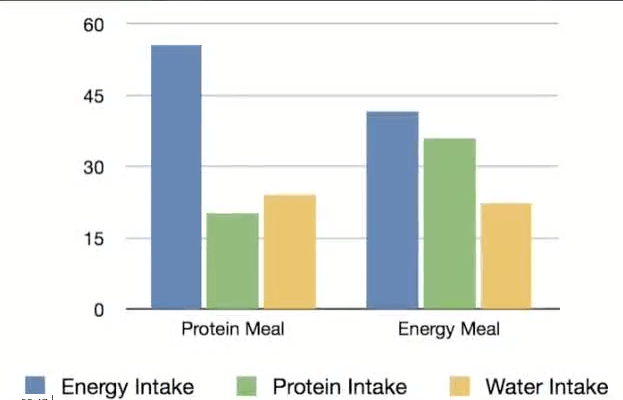 The three bars on the left show how much energy (blue), protein (green), and water a group of sheep ate when they were first given a meal of a protein rich food. You can see they ate a lot more of the energy food and not so much protein. The three bars on the right show what a group of sheep chose after getting a meal high in energy. They ate a lot more protein, and not quite as much of the foods high in energy. After two decades of studying how animals choose what to eat, Fred Provenza and his colleagues at Utah State University had a whole new understanding of palatability and the ability of animals to choose the right foods. Their research showed that animals aren’t born knowing what to eat, but that they learn from their mothers, their herd mates and from personal experience. They also discovered that animals can adjust their diets to meet their individual needs for protein and energy. But what is this information good for? Well, they decided to test what they’d learned in their research to see if people were actually as good as we think we are at choosing the right feeds for our animals, or if the animals do a better job, given the chance. They took two groups of cattle for their test. One group was fed a Total Mixed Ratio(TMR) that was supposed to help them gain weight at the best possible rate. The other group was allowed to choose among the foods that made up the ration,. They could eat as much or as little of each food as they liked. The group eating the Total Mixed Ration ate more, but they did not gain weight faster. Gain per unit of feed eaten was similar for both groups. But the steers that mixed their own feed gained weight at 20% less cost. The bison are in charge of ration-mixing at Iron Mountain Bison Ranch’s feedlot and they’re doing a great job. Average daily weight gains increased a quarter to a half pound per head per day. In addition, acidosis and scouring problems were eliminated and labor and yardage costs have dropped. 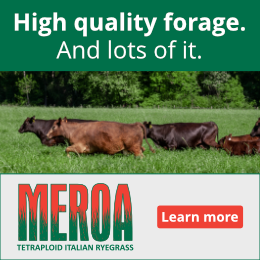 The changes began in 2003 after Ranch Manager Kent Fullerton attended a meeting where Utah State University’s Dr. Fred Provenza described the study showing that feedlot cattle performance improved when they were offered a choice of feeds rather than a total mixed ration. When Fullerton got back to the ranch, he decided to give the new system a try by finishing off a small group of long-yearlings. 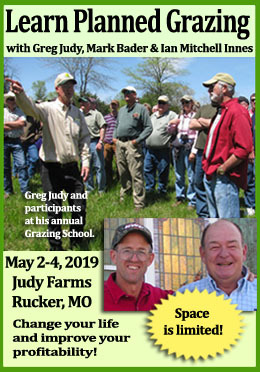 He had some portable bulk self-feeders on hand so he filled one with corn, another with dry brewers grain from the local Budweiser plant and his bulk hay feeder with alfalfa hay. “That was the group that did two and a third pounds per day. They just looked fantastic,” Fullerton laughs. The entire feedlot now runs on the new system which has reduced costs and solved a wide range of problems. Fullerton and his crew no longer have to grind and mix rations, and they only feed twice a week, freeing up other days for other projects. Instead of spending days digging out after a blizzard, the crew fills feeders before storms so that the bison can keep on eating while the crew holes up. 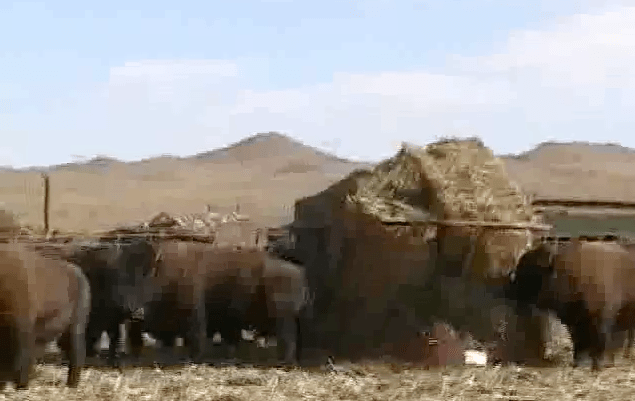 Feed waste is reduced because the Wyoming winds no longer fill the bunks with dirt or blow rations away and bison don’t sort through their rations for what they like best. Illness from acidosis and scours, common problems in bison feedlots, has been eliminated along with the strong ammonia scent commonly associated with feedlots. Finally, timid animals finish as well as the more aggressive ones. It’s a win-win situation for everyone according to Fullerton. The bison are healthier, costs are down, and without feeding chores every morning he can sleep in on Sundays and still make it to church. 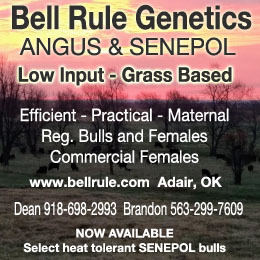 Would You Like to Put Your Livestock to Work Mixing Their Own Feed? Not everyone is ready to take a leap and try something new like this. You might have some questions and concerns, or you may be wondering how you could implement it to fit your operation best. We’d love to help you with answers or find you someone who can help. You can leave your questions in the comments below, or send Kathy an email and she’ll be happy to respond.